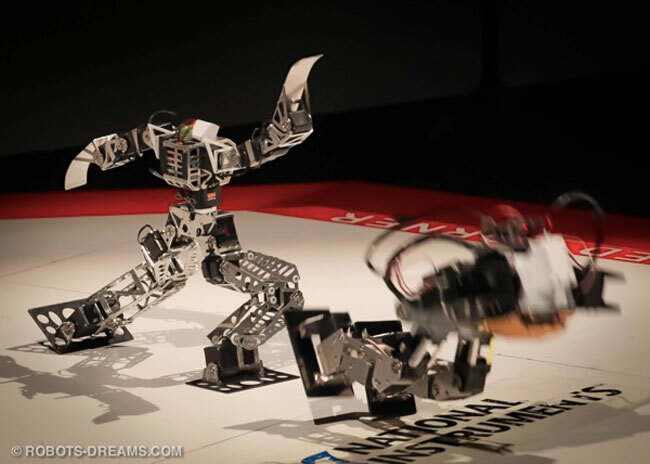 In Japan this month the Robo-One tournament has taken place, in which mini robots battle it out against each other to see who will be supreme champion. Watch the final in all its robotic glory after the jump. Where robot Garoo the Robo-One 19 Champion faced off against Gargoyle Mini for the Robo-One 20 Championship. Robo-One is a robot competition category of bipedal humanoid robots, and was first held in Japan in 2002. Competing robots are normally built with RC Servos as actuators and mounted together with sheet metal shapes. The most common frame material is aluminium. However, there have also been robot entries constructed using steel, plastic, and wood.